Since launching in New York back in 2013, Citi Bike has seen a good deal of success. The bike-sharing program has become a go-to transportation method for many residents here and now has more than 225,000 members and provides more than 60,000 trips on an average weekday. Next week, you can expect both of those numbers to sharply rise as the system adds thousands of new bikes and expands into four new neighborhoods. The Department of Transportation announced on Tuesday that Citi Bike is bringing 2,000 new bikes to 140 new stations in Harlem, Astoria, Crown Heights, Prospect Heights and Long Island City. 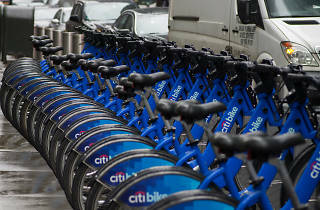 The expansion will bring the total number of Citi Bikes in the city to 12,000, doubling the total that the system had when it first launched. Long Island City has had Citi Bike stations for a couple of years now, but this expansion aims to make the service even more present in the nabe. But even with the new Citi Bike stations, the service is still receiving a good deal of criticism for only setting up shop in some of New York's most affluent areas. Bikes are not yet available in Staten Island, the Bronx or the vast majority of neighborhoods in Brooklyn and Queens, while the clunky blue machines are all but ubiquitous in Manhattan south of 110th Street. 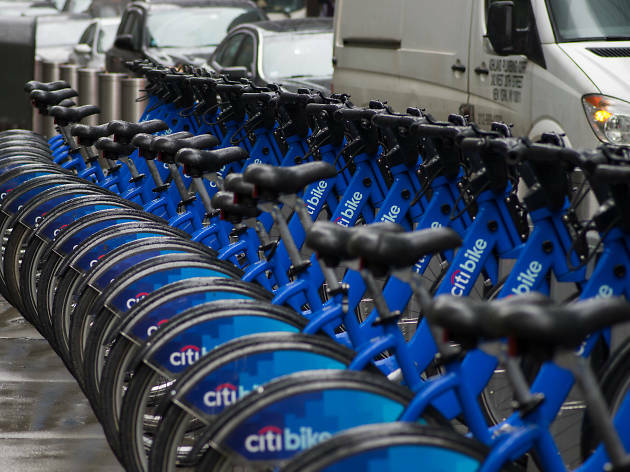 Neither the Department of Transportation nor Motivate, the company behind Citi Bike, have announced a specific plan to expand into the outer boroughs. The new bikes and stations will debut on Tuesday, September 12, at which point thousands more New Yorkers will have a reasonable alternative to the hell that is the subway system.